Is ‘when we eat’ as important as ‘what we eat’? In a review of research on the effect of meal patterns on health, the few studies available suggest that eating irregularly is linked to a higher risk of metabolic syndrome (high blood pressure, type 2 diabetes and obesity). The limited evidence highlights the need for larger scale studies to better understand the impact of chrono-nutrition on public health, argue the authors of two new papers, particularly with the rise in shift workers and ‘social jetlag’ where many of us live by social clocks rather than our internal body clocks. Our current lifestyle has become demanding and more irregular. Food consumption patterns have changed markedly over the past decades: more meals are skipped, consumed outside the family home, on-the-go, later in the day, and more irregularly. Two papers published in the Proceedings of the Nutrition Society explore the implications for health from different eating habits, reviewing the evidence from a number of dietary studies as well as global differences in eating habits. Eating inconsistently may affect our internal body clock or ‘circadian rhythms’ which typically follow a 24-hour cycle. Many nutritionally related metabolic processes in the body follow a circadian pattern such as appetite, digestion and the metabolism of fat, cholesterol and glucose. 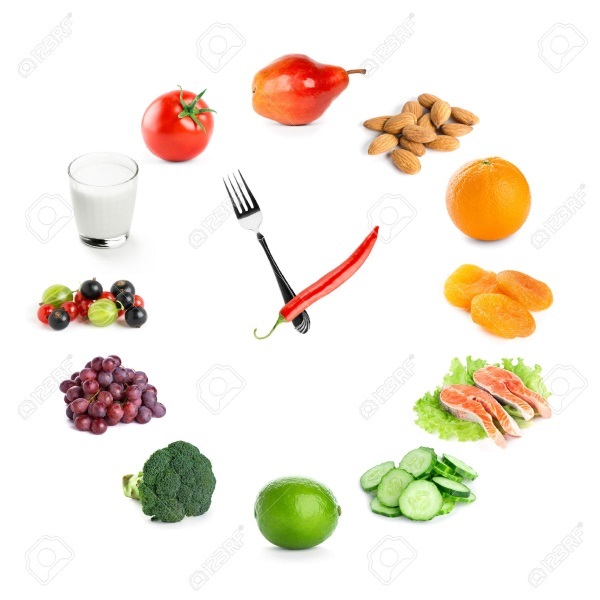 Food intake can influence our internal clocks, particularly in organs such as the liver and intestine, whilst our central clock is also regulated by the dark/light cycle which in turn can affect food intake. Chrono-nutrition involves studying the impact of nutrition on metabolic processes and how these may be influenced by and also alter circadian patterns through nutrient intake (ir)regularity, frequency and clock time. A number of studies have shown that people working shifts have an increased risk of a number of diseases including cancer, cardiovascular disease and metabolic syndrome. For shift work, changes in dietary patterns are therefore an important aspect to consider when investigating its effects on health. Social jetlag is estimated to affect more than 80% of the general population in central Europe, especially people living in urban areas. This discrepancy between our internal body clock and social clock has been linked to a greater risk of diseases like obesity and metabolic syndrome, whilst shorter periods of sleep have been linked to weight gain. Consuming small but frequent meals to regulate appetite and weight is a concept that has been adopted in many fad diets, yet some studies have shown that a greater number of daily meals has been linked to a greater risk of obesity and thus one could argue that we should consume fewer meals per day, write the authors. However, without a reduced calorie intake, fewer meals are unlikely to bring major health benefits. Moreover, when studying the impact of irregular meal patterns, it is also important to consider what people eat; some studies have found a link between how regularly people eat and what they choose to eat, for example with poorer food choices linked to breakfast skipping. Along with studying the impact of what and when we eat, we should also consider ‘with whom we eat’, say the authors, pointing to evidence that regular family meals contribute to healthy eating habits in children and adolescents. Globally, eating patterns vary widely according to the studies reviewed by the authors. The fact that lunch is the most important meal of the day is characteristic of France and the Mediterranean region, and reflects beliefs of the importance of pleasurable and social eating. Consequently, the French tend to eat together as a household more regularly and to follow a regular meal pattern of three meals a day. By contrast, in central England, drivers such as individual preferences and convenience dictate food choices, which translates to greater consumption of ready-prepared and take-away meals, more meal skipping and calorie-dense snack foods such as crisps. In the UK and US, the proportion of energy intake increases gradually across the day, with breakfast providing the lowest proportion of energy and dinner the greatest. A shift towards greater energy intake at the evening meal has been reported in France in recent decades due to changing working patterns, although French eating patterns are not yet on par with those observed in England. A recent clinical trial showed greater weight loss and improved blood sugar levels in overweight and obese women who ate more calories in the morning than in the evening. Further studies point to the importance of the ratio of evening-to-morning energy intake, and that evening intake may affect BMI differently based on whether people are regular or irregular consumers of breakfast. Most national dietary guidelines focus on ‘what’ you should eat in terms of food and nutrients, with only a few also providing recommendations on ‘when’ you should eat over the course of a day. As such, further research is needed to shape future dietary guidelines, conclude the authors. The authors of the two papers in the Proceedings of the Nutrition Society are from King’s College London, Newcastle University, University of Surrey and Nestlé Research Centre.